I was curious to know how many players on the last 10 Brazilian World Cup rosters have never played for a club outside of Brazil in their careers (before or after their WC selection). In recent times the answer is not many. Back in the Pele days there were quite a few more career Brazilian League players. Perhaps not surprisingly, there are 9 different Goalkeepers on the list, and in the last 6 World Cup rosters, 5 of the 7 career domestic players were in the GK position. Hello I am Brazilian and I live in Brasilia, the capital. 'In the decade of 1990 there began a large output of Brazilian players to Europe because of higher salaries, but today there is not much will come out of these players out of Brazil, because they go and disappear on small and average clubs in Europe so that they are not recognized here in the country and therefore not reaching the national team, which is undoubtedly the biggest showcase of the world. The Brazilian Championship is the world's hardest, so if you show so many superstars as well. Barcelona, Real Madrid, AC Milan, Internazionale, Manchester United and others surely would not be so successful if they throw the Brazilian league. 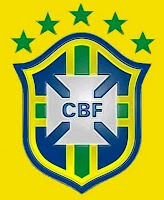 Brazil is today the strongest economy in Latin America and attracts players from Argentina, Paraguay, Uruguay and other South American, former rivals.